My 9-year-old daughter came home with the most adorable craft last week. She made the cutest 2×4 pumpkins with her activity days group. I just had to share them with you all! 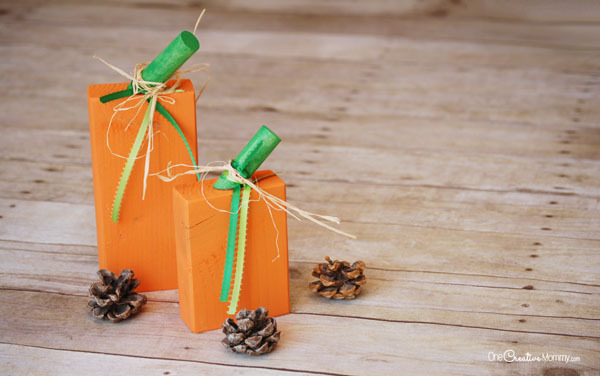 I tried to find the craft online to give credit to a blogger, but variations of 2×4 pumpkins are all over the web. Thanks to my friend Angie for this cute variation. Sand 2×4 scraps to smooth rough edges. Round corners if desired. Using miter box and saw, cut dowel into pieces at an angle to create the bent stem. Paint the “pumpkins” and “stems” and allow to dry. Using hot glue, attach the stem to the top of the pumpkin. 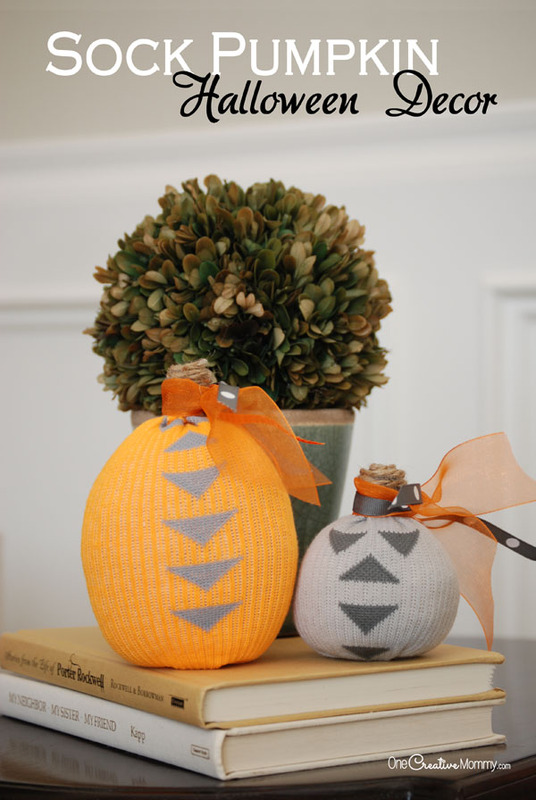 Dress up the pumpkin by tying coordinating ribbon and raffia around the stem. Thanks for stopping by! 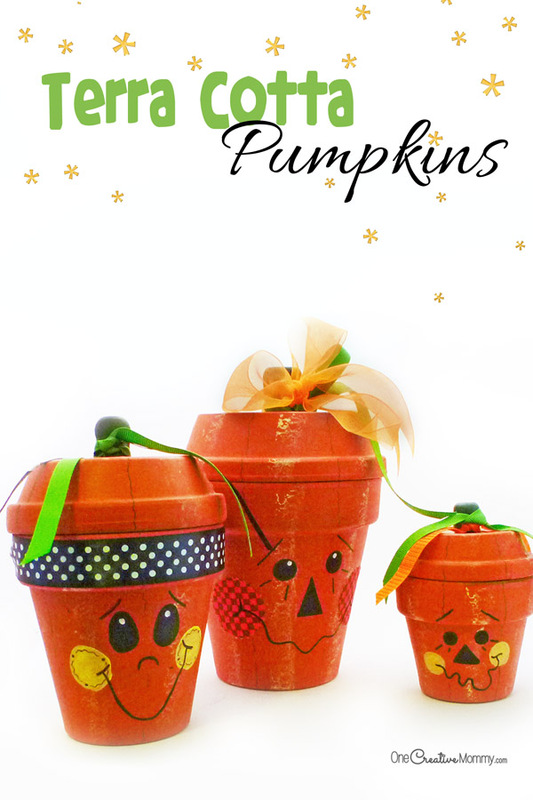 Check out more pumpkin crafts by clicking on the images below. These are adorable!I love the rustic look to them. Thanks, Emily. I was really proud of my daughter. She was excited to bring home something that we could put up in the house. 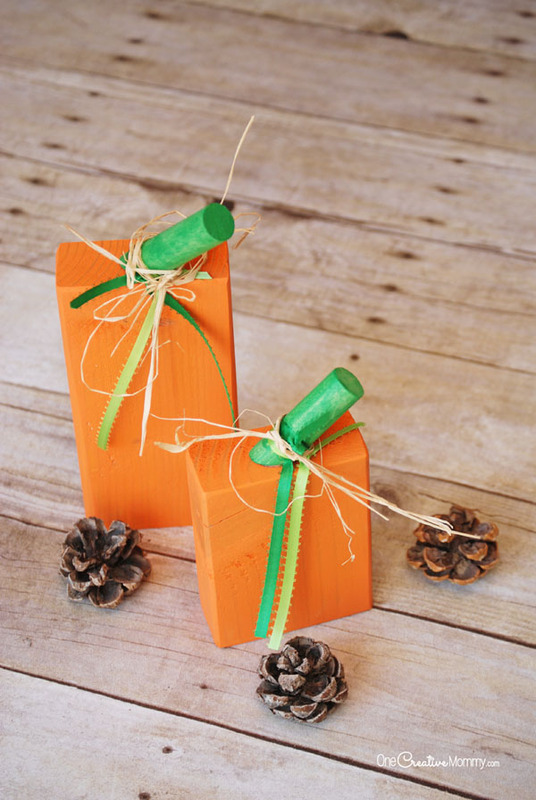 Cute holiday idea! I am going to stash these away for my daughter’s class party project. What a cute idea! For younger kids, you could try this with juice boxes! Of course, this wouldn’t last long – but it would be a fun project. What a fun idea, Alicia! I might just have to try that! I love all these non-pumpkin pumpkins! Ours tend to rot so fast, it would be nice to have a backup, or ones we can put on our mantle or around the house. So cute! These are all terrific craft ideas. 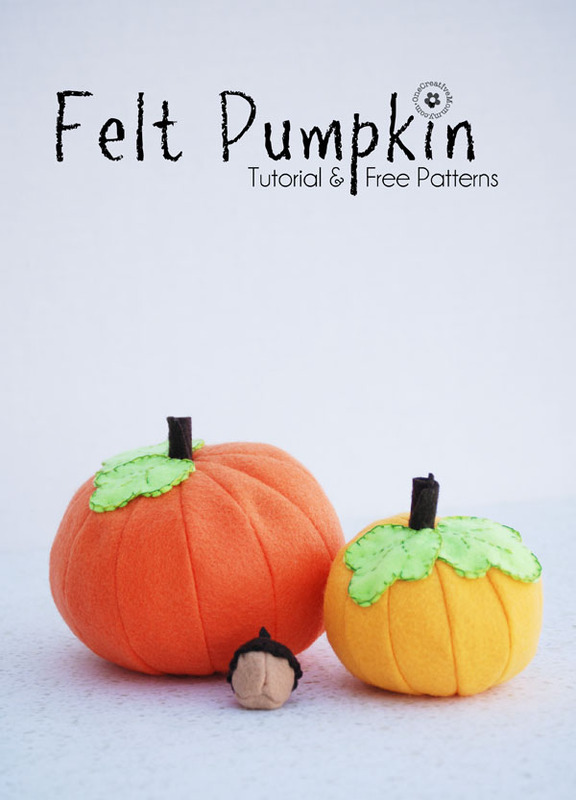 The sock pumpkins are super cute and squishy looking. Thanks, Val. My little girl was very proud that she made something all by herself for the house. 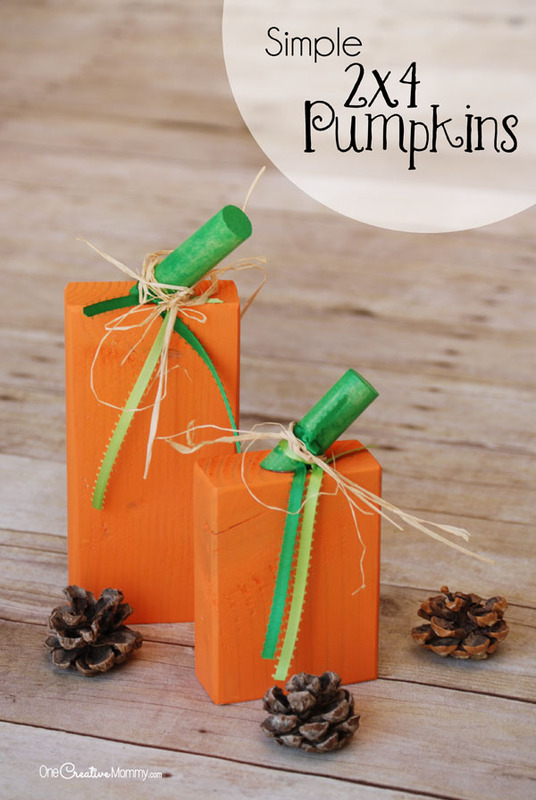 What a great fall decor idea and an excellent way to use lumber scraps. They really have a rustic, country feel to them too. Thanks, Marcie. I like the rustic feel, too. My daughter had fun with this project. Thanks, Scott. That would be a fun article title! Thanks for sharing this cute pumpkin. You’re welcome, Rahul. I’m glad you like it. Thanks for stopping by. Love it – you could title the article “Redneck Pumpkins” Thanks for sharing this cute pumpkin.